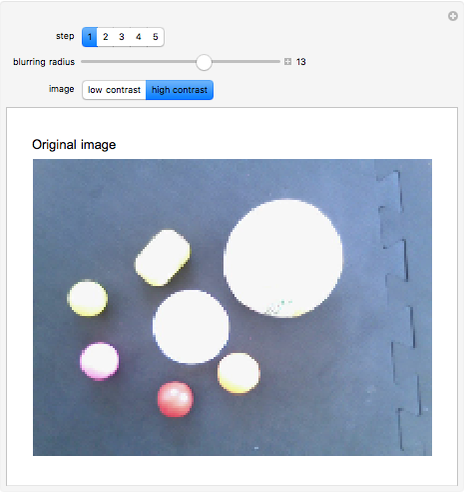 Using only a few lines of code, it is possible to count the number of objects in a image. 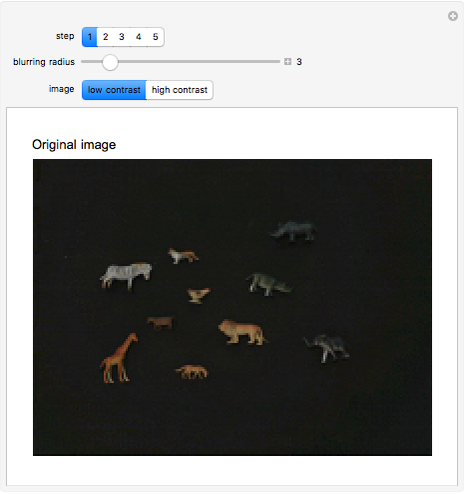 It is important to do the image acquisition with a standard background. 1. Original image. 2. 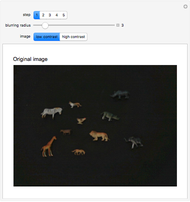 Apply a Gaussian filter to reduce image noise. 3. Binarize to get only a black-and-white binary image. 4. Count the number of elements (white spots) with Mathematica's built-in function ComponentMeasurements, which returns a list with the center of each cluster. 5. Original image with objects counted. Use the tabs to see the intermediate steps; to see the steps, hover over the images. The images were captured with a USB camera connected to a Raspberry Pi computer. Daniel de Souza Carvalho "Counting Objects in Images"